Bake in 375* oven for 30ish minutes, until eggs are set. Another breakfast casserole success! This was super fast to put together, but I do love that it could be made ahead and popped in the oven when you roll out of bed. I think mushrooms or your favorite breakfast meat would be welcome additions, and you should definitely serve it with sour cream, salsa, and green onions on top! 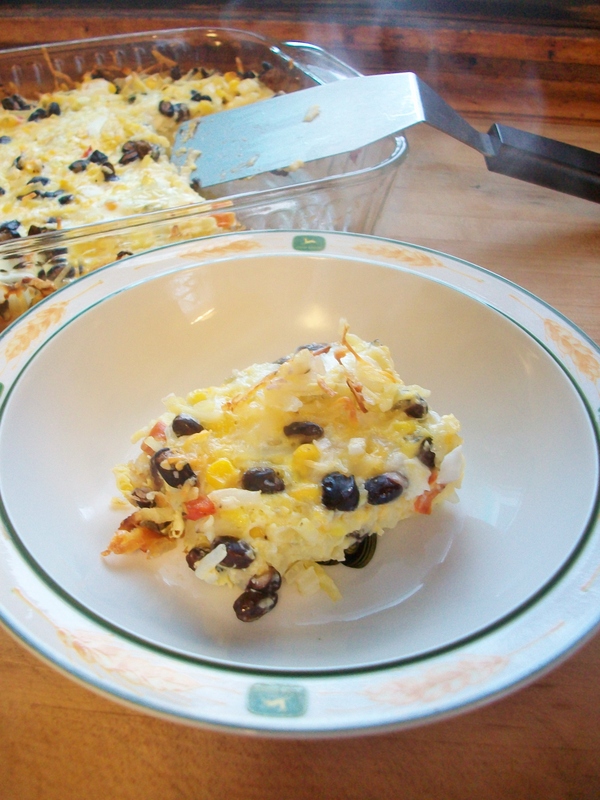 Posted in BreakfastTagged black beans, breakfast, brunch, casserole, Cook, Easy, egg bake, eggs, food, healthy, southwesternBookmark the permalink.